Hi I'm Beth Eaton. 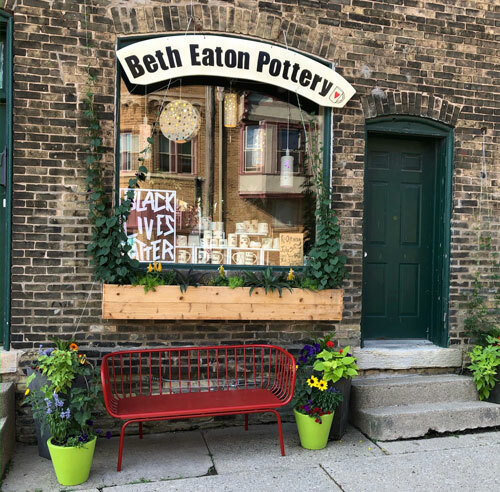 I've been working as a studio potter in Milwaukee since 1999. My main body of work is functional pottery. I construct all of my pieces from slabs of clay that have been stamped and then hand painted. No two pieces are ever the same. Please feel free to email me for special one of a kind orders and wholesale.